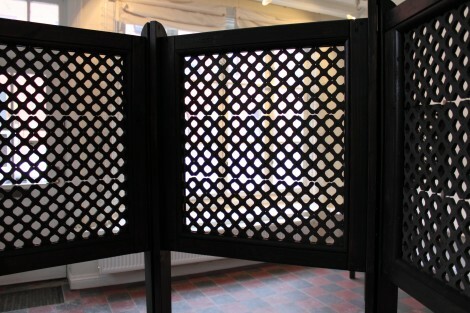 Sacrament I-III is a type of modern confessionals, not so much places for penance but rather physical screens illustrating the border between private and public, concealed and open. 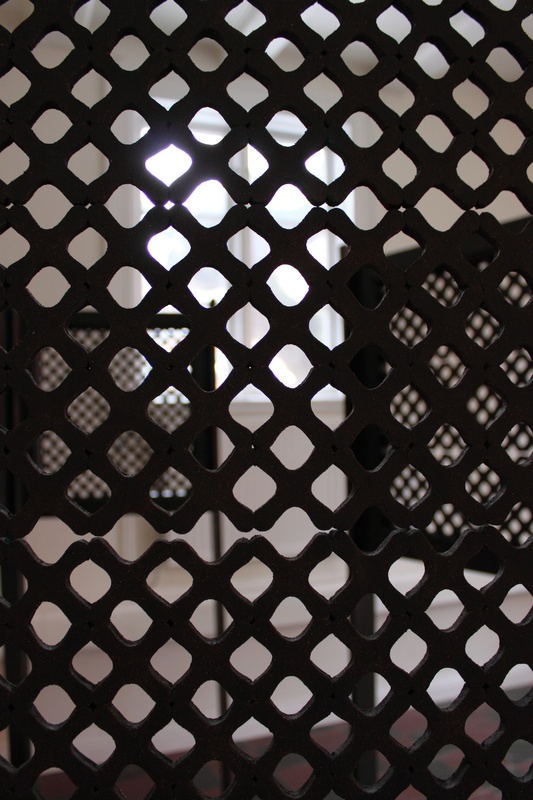 Places from which it is possible to watch without being seen, barriers between an outer and inner self. 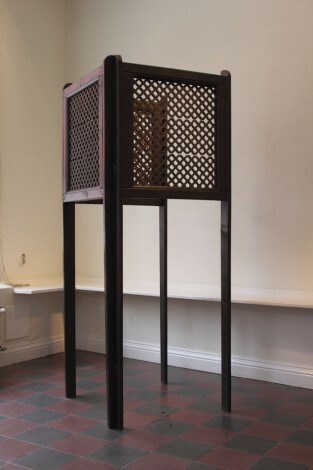 The form and esthetics behind the pieces are inspired from the traditional confessionals used in the Catholic Church, as well as from Islamic ornaments. The framed stoneware tiles are built up by many small clay pieces. The woodwork is done in collaboration with the carpenter Alberto Perea Jerez.